‘The Wonder of Us’ by Kim Culbertson appeals to me as I love and adore realistic fiction and YA is my happy place. I’ve got this one to read on my girls weekend away and I’m sure it will be perfect for this! I was however, surprised with Jazzy told me she was reviewing this one as she is more of an adventure and fantasy reader, which makes her the perfect reviewer for my blog, as otherwise the adventure and fantasy reviews would be light on! Thanks Jazzy for another insightful review! 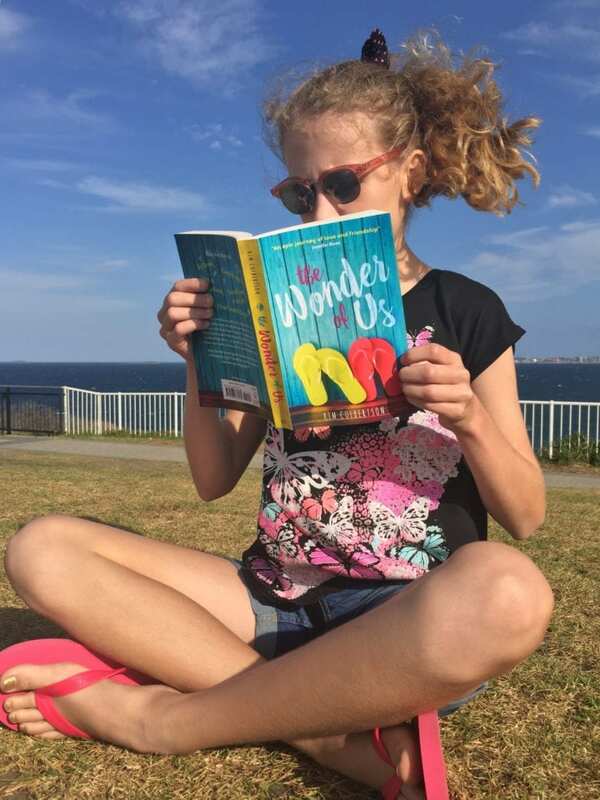 Purchase ‘The Wonder of Us’ by clicking on the title links or cover images. Kim Culbertson has skillfully created an enchanting journey of teenage growth and friendship. Her style is not overly wordy, yet she gives the perfect representation of a certain place, person or mood. Each chapter is written from the point of view of two friends, Abby and Riya. I always enjoy narratives written in this format because I like to get inside the characters’ minds. 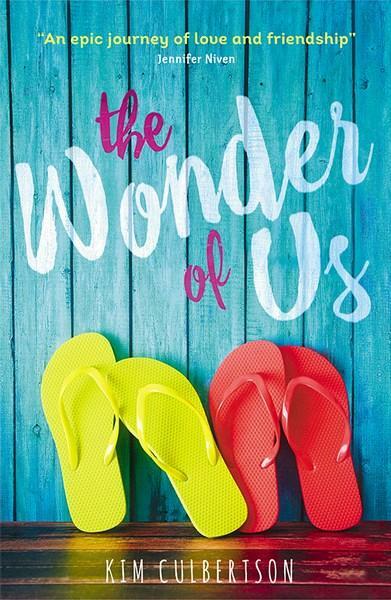 The book’s title, ‘The Wonder of Us’ is very central to the story. Abby has a fascination with the Seven Wonders of the Ancient World and the author has used this in a clever way; there are seven parts of the book and they are all related to Abby’s obsession. I love the construction of the characters – they are flawed and have realistic personalities. Both Riya and Abby make mistakes. For instance, Abby reveals that she cut a Skype chat short by lying that gravy was poured on the laptop. The truth was, Abby did not want to spend her family celebration with her previous best friend. Meanwhile, Riya has many crushes on boys. She is always distracted and doesn’t think situations through properly. Abby can never talk to Riya, who has her head in the clouds. Riya also doesn’t tell Abby about graduating high school early to go to a theatre school in London. My favourite character is Neel as he has such a curious temperament. He is Riya’s cousin and a change of plans leaves the girls in his care. Neel has a horrible girlfriend and when they break up, romance almost immediately blooms between Abby and him. On the one hand Neel is nearly too chilled, but on the other he can be really strict which is quite a drag for Abby and Riya. There are many ‘ups and downs’ in this story. Abby constantly refers to her ‘rough year’ when her parents divorced; there are slight signs of depression in her though she tries to hide it. Abby wishes adults sympathised with her and that she had confided in her Dad about the past year, at the opportunity given. Riya learns things don’t always go to plan. ‘The Wonder of Us’ has more than one moral. Dishonesty brings consequences to both girls. We are also reminded of the value of friendship and how no matter the distance, people can still maintain their relationship. This book is appropriate for kids in the sense that there is no violence or bad language. However, Riya and Abby go through some difficult times and don’t always act like perfect role models. They also kiss and flirt with boys and this is described in detail. Because of this, I recommend this book to children aged 11+. I think this is an interesting novel. It has all of the elements of a good narrative drama – wonderfully-developed characters, romance, friendship and personal growth. Therefore, I give ‘The Wonder of Us‘ four-and-a-half bookbolts out of five.